Real Techniques Enhanced Eye Set has every brush you need to create any eye look. 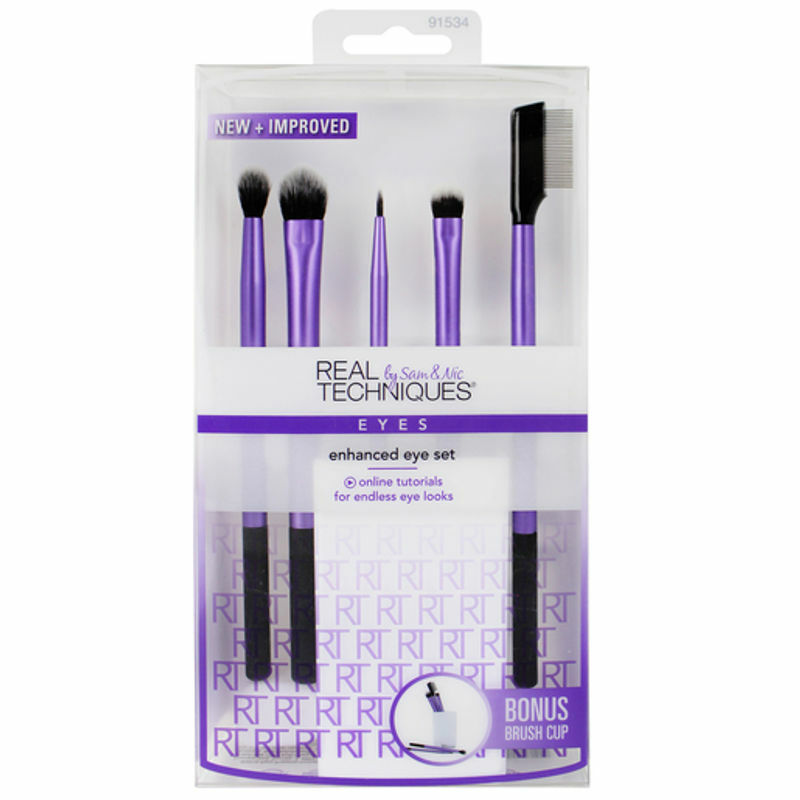 Made of synthetic bristles that are custom-cut, easy to clean, and 100% cruelty-free. The extended aluminium ferrules that are lightweight, easy to use, and colour coded. Long lasting brushes to achieve flawless results. Use with powder or liquid. Medium shadow brush: Wide and flat with tapered bristles to softly sweep and blend powder or cream shadows.